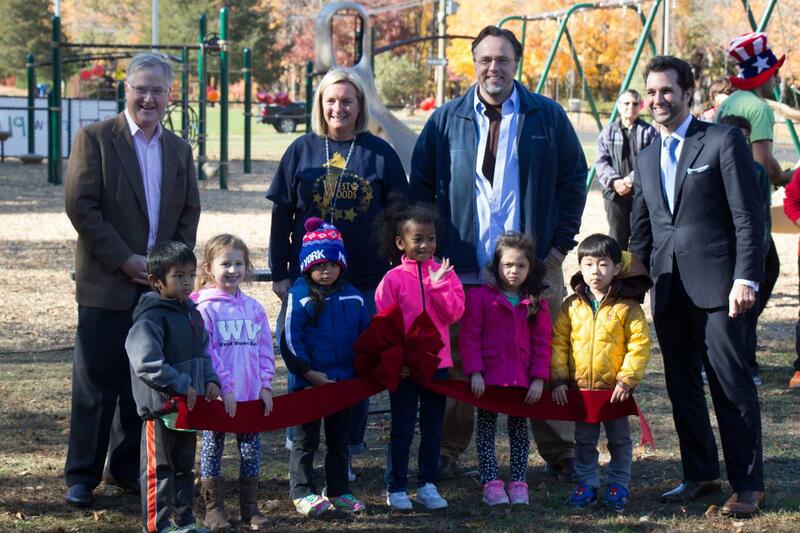 Rep. Mike D'Agostino joined local and state officials for a ceremonial ribbon cutting with students on a new playground at West Woods School in Hamden. Funding for the project was submitted by Rep. D'Agostino and approved by the state. The new facility replaced old deteriorated equipment with new slides, ladders, and other play structures.